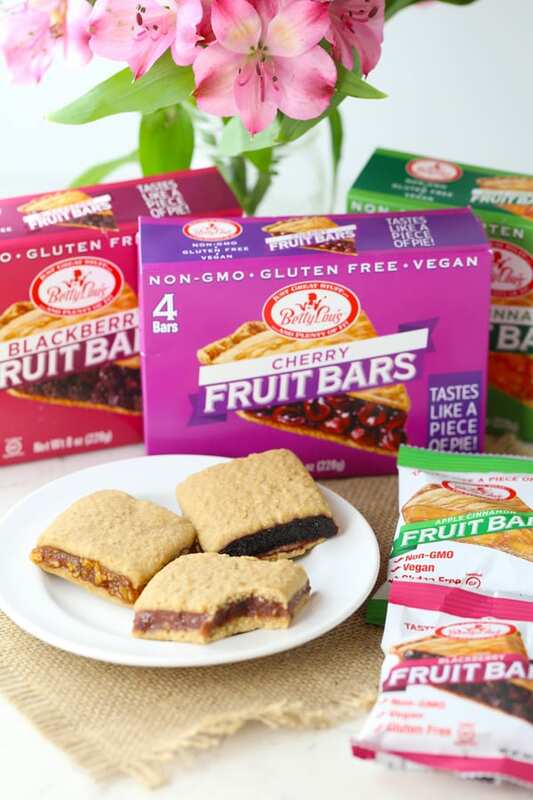 Betty Lou’s Fruit Bars (A Gluten Free Treat) are a delicious snack for anyone that can’t have gluten or is on a vegan diet. My daughter can’t have gluten or dairy and it’s hard. She’s a teenager and would love to eat all the foods her friends are eating. But she has a condition called Hashimotos which makes her sensitive to gluten and dairy. Having some good, go-to sweet treats is important to my darling girl, Savannah. So she was so excited to try Betty Lou’s Fruit Bars! They really came in handy recently when she was in invited to a party. Going to a party can be stressful when you know you can’t have the birthday cake. 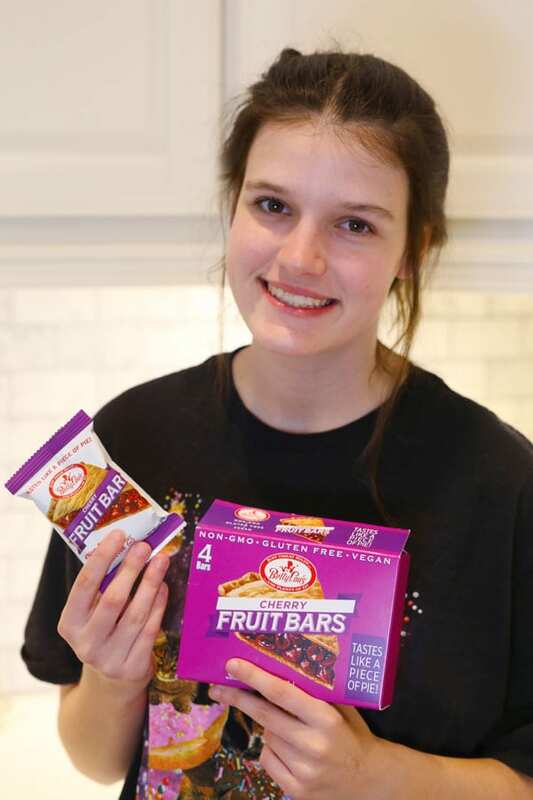 Betty Lou’s Fruit Bars were perfect for my daughter to put in her purse to bring with her to the event. She was able to have a treat when everyone else was having cake. Yay! 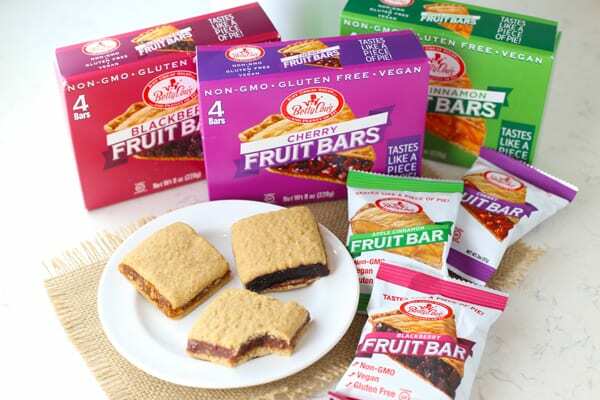 Betty Lou’s Fruit Bars are gluten free AND vegan. That means they don’t have dairy which is a win win at our house. Plus, they taste like pie! Savannah’s favorite flavor is cherry and my son’s is apple cinnamon. I love the blackberry. Yum! 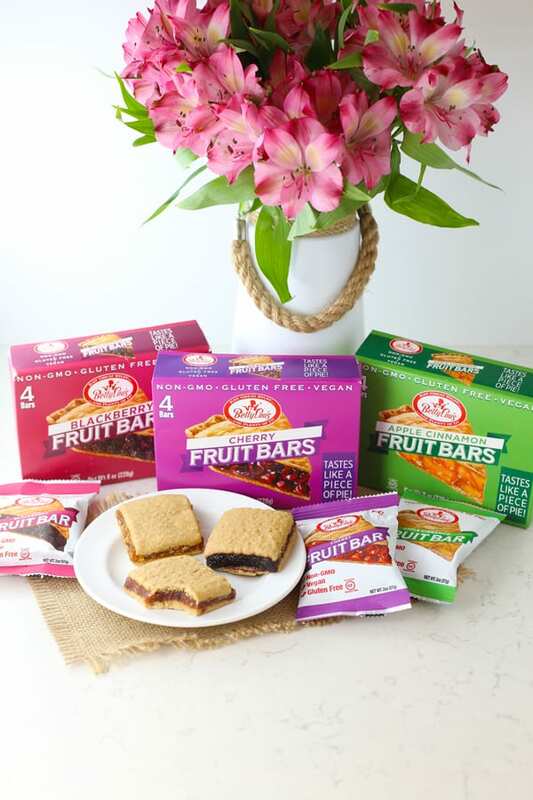 Betty Lou’s Fruit Bars are now available at Walmart! I found them in the Breakfast Bar section at my local Walmart. Let me know what you think. Tell me your favorite flavor in the comments below. Enjoy!